= Maggie Sensei no saito ye youkoso! Do you like learning Japanese? Many of you who visit this site must have felt this way once or twice. Well, don’t worry! I’m here to help you learn Japanese in a fun way. 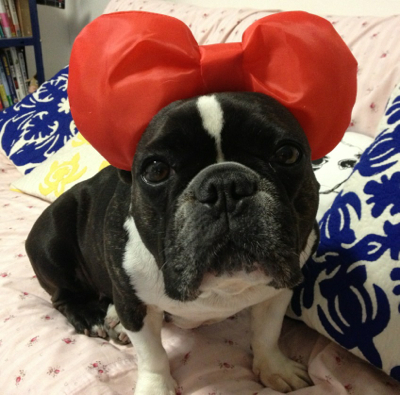 I am Maggie, a French Bulldog girl and a newbie Angel. My best friend, Yukari, and I had been teaching English on Maggie Sensei ABC Lesson for about two years when we decided we wanted to do something different. We had been doing just for fun. One day we somehow got this crazy idea to teach Japanese together. Before we started, we checked some of Japanese textbooks to get an idea how other people did it. The books were full of difficult explanations and grammatical terms. And they weren’t just difficult. They were also really boring. Every time we opened a textbook, we would fall asleep. 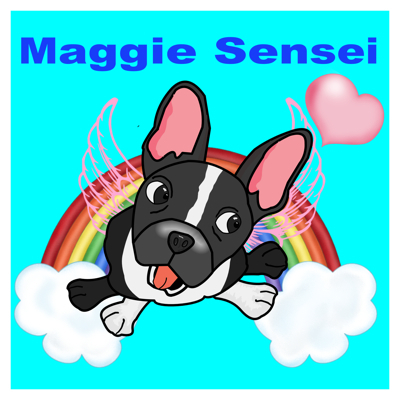 On August, 2008, maggiesensei.com was born. Yep! We named it after me. We’ve done our best to include lots of example sentences so you can learn how to use each expression without having to depend solely on the complicated grammar explanations. Many of the Japanese expressions here are not the kinds of expressions Japanese classes teach you, but they are very useful and very conversational. Also, you might notice that the way I teach some grammar is also very different from the way your Japanese text books teach grammar. Of course, we are not saying you should abandon text books or only study from our site. 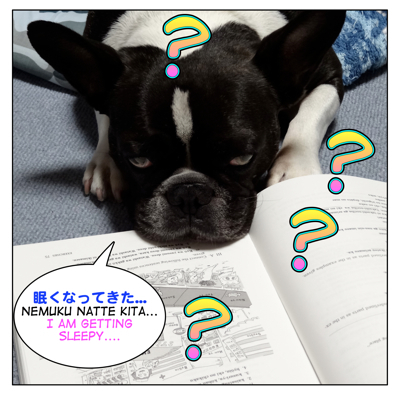 If you are studying for Japanese tests, for example, you should definitely stick to your Japanese textbooks. And if you want to learn grammar in a more “proper way”, get a good book or visit some of the other wonderful sites on the Internet. The purpose of this site is to teach you REAL Japanese in a fun way. Among our hundreds of lessons you will find a variety of lessons. They range from formal to extremely casual and naturally include many colloquial and slang words and expressions. A few of our expressions might even be considered technically (grammatically) wrong by an orthodox Japanese teacher, and in those instances we will do our best to point that out. However, the majority of our lessons here will concentrate on “everyday Japanese” and not “textbook Japanese”. After all, you can get “textbook Japanese” anywhere, right? So once again, welcome to our site! Please visit us often! Think of us as your friend’s house on the Internet. As an Angel it’s hard to have my picture taken anymore so we need models! Please ask your dogs and cats — or any of your pets — if they want to be a guest teacher. 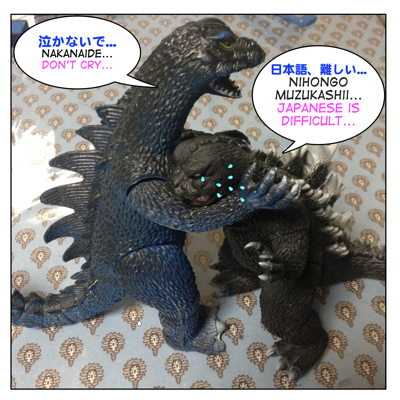 Don’t worry if they don’t speak Japanese. We will take care of that. Send their pictures here with their name and gender and a short introduction. We can only choose pictures that we think we can use for certain lessons so unfortunately we can’t use all your pictures. Please note that this email address is only for your pet’s pictures. Please do not send your Japanese questions, translation requests or any promotion/advertisements requests. I won’t answer those messages. Looking forward to seeing all the new guest teachers! 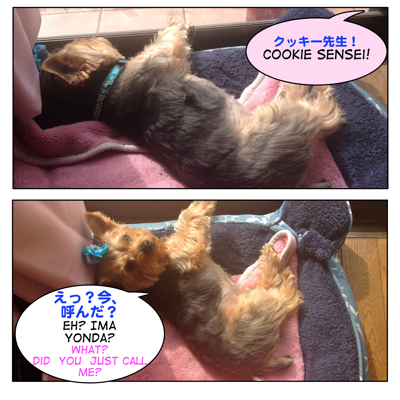 See the leader of Team Maggie, Cookie Sensei is sooo ready! We would love to make many friends. Special thanks to our buddy, Victor who promotes this site and help proofread the lessons occasionally. Please subscribe to his channel,gimmeabreakman. You can pick up some Japanese from his channel too! = Hajimemashite! Maggie Sensei no asisutanto no Yukari desu. = Nice to meet you! 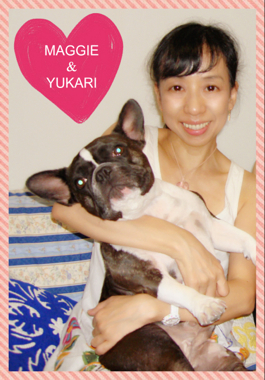 I am Yukari, an assistant of Maggie Sensei. = Minasan karano ippai no atatakai messeiji arigatougozaimashita. = Thank you so much for all your warm messages. = We love you all!! !